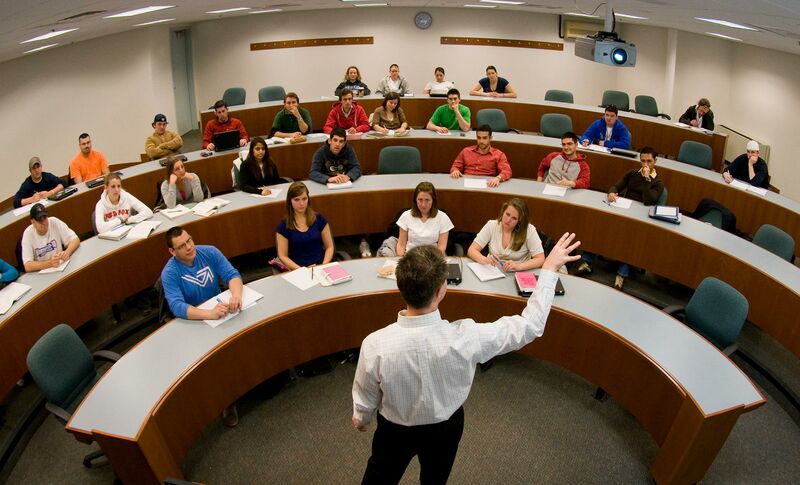 Photograph of professor in college classroom. The camera was mounted on a lightstand behind the professor and was remotely triggered by the photographer. A fisheye lens was used to capture the entire classroom.